Kids get injured in sports. It’s an inevitable reality that parents accept when they support youth sports participation, knowing that kids are more likely to learn teamwork, respect, hard work, and accountability during their time in sport. And while the rewards from sport are great and the risk of injury is usually low, the way pain from a sports injury is managed can make a significant impact on a young athlete’s recovery, as well as their long-term physical and mental well-being. For example, research shows that when a child’s pain isn’t addressed quickly and effectively, the long-term results can include a lower pain threshold, anxiety over future treatment, and decreased response to painkillers. With that in mind, parents should take some time to learn more about pediatric pain and the different ways to help kids deal with pain after a sports injury. 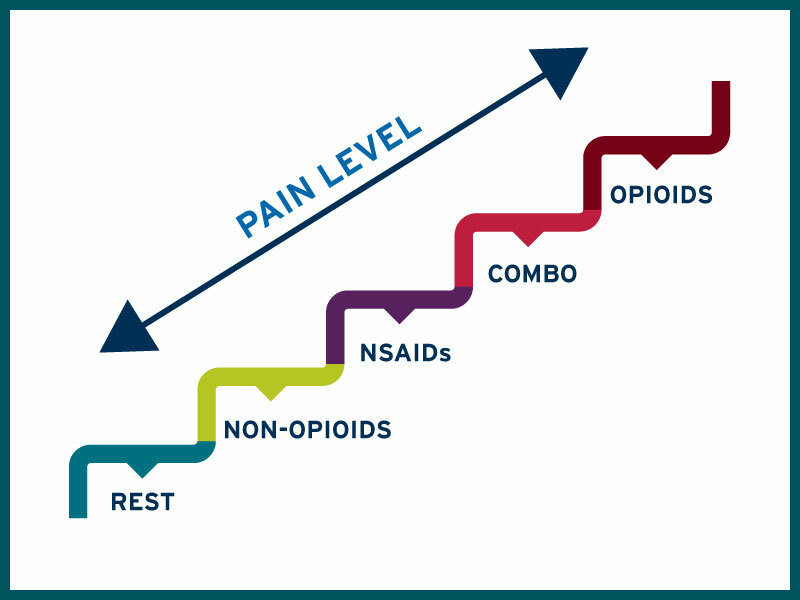 Where does pain and pain management start? Approximately 30 million kids and teens play organized sports in the United States, resulting in more than 3.5 million injuries annually. Sports specialization, which has become more prevalent in recent years, also increases the risk of injury due to overuse. In youth sports, pain may come as the result of overuse, muscle tears, sprains, concussions, broken bones, and other injuries, as well as related procedures like surgery. When it comes to treating pain, it’s important to first identify the source of pain so that the treatment addresses the cause of the pain, rather than simply treating the symptoms. Are there different levels of pain? Pain is typically identified as acute or chronic, and treatment should vary based on the type of pain. Acute pain is brought on by injury or a specific illness and has a valuable biologic purpose, while chronic pain is is ongoing with no identified end-point and no biologic purpose. For children, acute pain is most common, especially in relation to sports injuries, and chronic pain is fairly rare. In addition to the different types of pain, it’s important to recognize that everyone perceives pain differently, which is why the assessment and ongoing evaluation of pain is key to effectively treating pain. What are the different ways to manage a young athlete’s pain? Treatment of a child’s pain should be specific to the child, the source of their pain, the type of pain, and the level of pain. Taking time to understand and properly treat your child’s pain is critical, in part because effectively managed pain is connected to fewer complications and faster recoveries. What are some pain management methods that don’t involve medication? Hot or cold compresses, massage, and relaxation techniques are non-pharmacological methods that can help young athletes recover physically and mentally after a sports injury. For example, RICE (rest, ice, compression, and elevation) is often an effective way to respond to small sprains or other minor injuries. After treating acute pain, physical therapy may also be recommended to help facilitate healthy recovery following a serious injury or surgery. When should parents consider using non-opioid pain medications? In both children and adults, mild acute pain is typically addressed with non-opioid pain medications and nonsteroidal anti-inflammatory drugs (NSAIDs) like acetaminophen, ibuprofen, aspirin, diclofenac, and etodolac, all of which can be obtained over the counter. What do parents need to know about opioid pain medications? Opioids, such as oxycodone and hydrocodone, remain the most common option for treating moderate to severe acute pain, and opioid pain medications like Oxycontin and Codeine are more likely to be prescribed after a severe injury or surgery. Parents should choose the most appropriate pain management option based on the circumstances, and often in consultation with a primary care physician. If needed, parents can also consult with a specialist in orthopedics and sports injury in pediatric patients. For more information on the best practices for treating pain with medication, click here. You can also find more information on the alternatives to pharmacological treatment of sports injuries here. Dr. Gary Green is board-certified in sports medicine and clinical professor in the UCLA Division of Sports Medicine. He is the medical director for Major League Baseball and has a practice in Pacific Palisades, California. He also serves on the Scientific Board of the Partnership for Clean Competition.